Have you notice how little even Christian talk about the Holy Spirit? Why is that? they really do not know he exists even, cause they do not know the New testament adequately still too..
and who is the Holy Spirit? YOU WILL NEVER GET PERSONAL HOLINESS WITHOUT JESUS CHRIST AND THE HOLY SPIRIT..
Holiness starts with Biblical repentance BY admitting one sins to God, stopping and consciously turning away from them, turning back toward God, and personally accepting Jesus Christ finished work, forgiveness for them. True repentance is confession, contrition, change; replacement and it involves the whole person, Our Body, Soul, Spirit. It is also a personal, ongoing event. While God will do his part even now related to the the issues of overcoming sin, sanctification, carrying out God’s plans, or on our being able to live a holy life we also must do our own part, cooperating with God and his word… Eph 4:24 KJV) And that ye put on the new man, which after God is created in righteousness and true holiness. (Rom 6:19 KJV) I speak after the manner of men because of the infirmity of your flesh: for as ye have yielded your members servants to uncleanness and to iniquity unto iniquity; even so now yield your members servants to righteousness unto holiness. (Luke 1:75 KJV) In holiness and righteousness before him, all the days of our life. 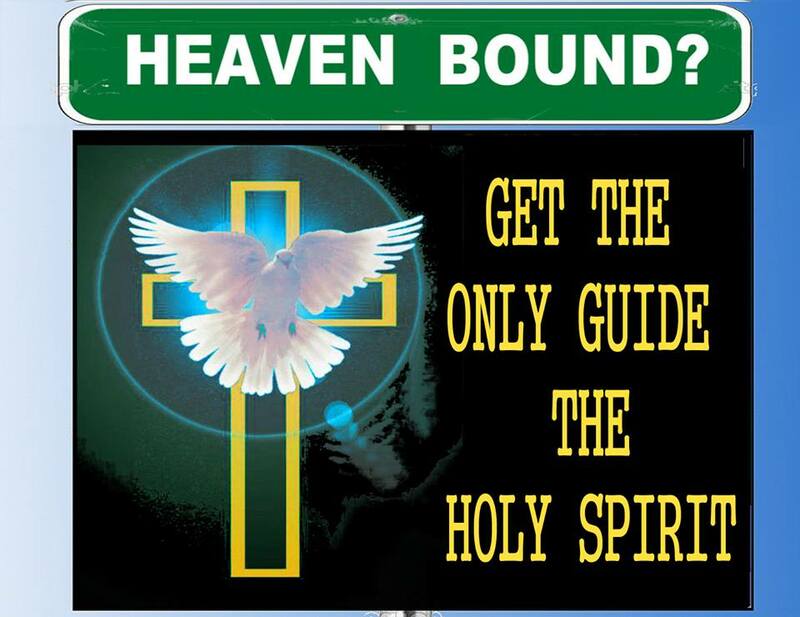 (Isa 35:8 KJV) And an highway shall be there, and a way, and it shall be called The way of holiness; the unclean shall not pass over it; but it shall be for those: the wayfaring men, though fools, shall not err therein. We don’t have to be perfect or to achieve some standard of holiness to be able to come into God’s presence and have an audience with Him but to be continually effectively use by God we must maintain our holiness, OUR walk in holiness. Sanctification and holiness also means the appropriating daily by faith the BENEFIT of the fruit of the Holy Spirit, and other qualities of godly character. “But the fruit of the Spirit is love, joy, peace, patience, kindness, goodness, faithfulness, gentleness and self-control. Against such there is no law.” (Galatians 5:23,24). (Psa 19:14 KJV) Let the words of my mouth, and the meditation of my heart, be acceptable in thy sight, O LORD, my strength, and my redeemer. (2 Cor 7:1 KJV) Having therefore these promises, dearly beloved, let us cleanse ourselves from all filthiness of the flesh and spirit, perfecting holiness in the fear of God. Sanctification also results in other qualities of our godly character such as courage, endurance, truthfulness, honesty and many others. Sanctification is rooted in humility – the correct view of God and oneself which leads one to hear correction from God and others, to put down selfish desires, and to obey God from the heart. The more truly humble a person is, the more God’s grace will work in his or her life to produce all the other elements of godly character. Sanctification means God and us overcoming sin. As God comes in and fills the life, darkness and deception and evil desire is rooted out and rejected, cast out. The process of God’s sanctification will change our motives, our thinking, our speaking, our behavior and our actions. The old nature will be crucified (Galatians 5:24) and what it produced will be stopped. A sanctified person will also then be like God in His character and personality. “Of how much worse punishment, do you suppose, will he be thought worthy who has trampled the Son of God underfoot, counted the blood of the covenant by which he was sanctified a common thing, and insulted the Spirit of grace.” (Hebrews 10:29). The Scripture teaches us that the blood of the Jesus sanctifies us. Not only does it justify us or make us right with God – it also sanctifies us. It changes us. The first step for any person coming to God is to believe in the power of the blood of Jesus. This blood represents the payment for our sin. It takes sin away. We must believe that through the blood of Jesus we are forgiven. There is no condemnation for those in Christ Jesus (Romans 8:1). Knowing we are forgiven and free from guilt, we can serve God with a clear conscience and without fear (Hebrews 9:14). We can go forward in our walk with God. But APPLYING, ACCEPTING the blood means more than JUST ACCEPTING OUR forgiveness IT ALSO involves our personal commitment to God and him alone, and that is the way also of our sanctification. Applying personally God’s forgivness, the blood of jesus and next wlking in, doing our own things, our own ways will insure we fail in our santifcation rather. It is important to note the shed blood of this New Covenant covenant. A real Christian is in blood covenant relationship with God. The Blood covenant is a serious types of agreements between God and man. Being in blood covenant with someone means “All that I have is yours, and all that you have is mine.” We must realize that this is our relationship to God. All that we have is His (1 Corinthians 6:19), and yet all that He has is ours in Christ (1 Corinthians 3:21; Romans 8:17; Romans 8:32; Matthew 7:7). We are no longer our won boss, nor do we walk in our way or other men’s way. (Acts 5:29 KJV) Then Peter and the other apostles answered and said, We ought to obey God rather than men. 30 The God of our fathers raised up Jesus, whom ye slew and hanged on a tree. 31 Him hath God exalted with his right hand to be a Prince and a Saviour, for to give repentance to Israel, and forgiveness of sins. 32 And we are his witnesses of these things; and so is also the Holy Ghost, whom God hath given to them that obey him. When we realize and practice that the blood of Jesus means that God has bought us and all that we have and are belongs to him – this has a powerful affect on our lives. We realize that we are no longer our own to go off and do whatever we choose. We must now continually listen to, obey God. The detail knowledge of this blood covenant can thus change us. The knowledge of the blood covenant we are in as Christians calls for a conscious acknowledgement, total consecration and dedication of ourselves to God. Paul writes, “I beseech you therefore, brethren, by the mercies of God, that you present your bodies a living sacrifice, holy, acceptable to God, which is your reasonable service.” (Romans 12:1). Many professing Christians wrongfully now have not still made Jess the complete lord and of each and every aspect of their live, pastors and elders included. We are called to consciously dedicate our bodies completely to God and this something we must do also continually. It is also a faith response towards God. It means that we are totally available for whatever God wants us to do. It means that our eyes, our ears, our hands, our feet, our mouth and our brains are given willingly over to God’s purposes. It means that our sexuality, family, work, income too also now is given over to God’s control. It means that our eating and drinking, walk will be for the glory of God only (1 Corinthians 10:31). The truth is that our body, soul and spirit form a unity and are linked together in many important ways. Dedicating the body to God completely will next thus affect also the mind, the will and the emotions. God will help us also to transform us in every way – in our thinking, in our behavior, in our words, in our actions – if He truly has the keys to our lives which we have voluntarily given back to Him. The renewing of the mind (Romans 12:2) can only truly take place in the life of someone who has dedicated and offered his or her body to God. and if they abide in Jesus Christ, God, the Holy spirit and in his words, in the Bible. Jesus Christ is always still the centre of my life in every area. (1 Cor 2:2 KJV) For I determined not to know any thing among you, save Jesus Christ, and him crucified. 3 And I was with you in weakness, and in fear, and in much trembling. 4 And my speech and my preaching was not with enticing words of man’s wisdom, but in demonstration of the Spirit and of power: 5 That your faith should not stand in the wisdom of men, but in the power of God. Sanctification, a total dedication to God also now implies a dedication to constant Spirit-led prayer life. The Bible exhorts us to “pray without ceasing” (1 Thessalonians 5:17), to “continue earnestly in prayer, being vigilant in it with thanksgiving” (Colossians 4:2), to be “praying always with all prayer and supplication in the Spirit, being watchful to this end with all perseverance and supplication for all the saints” (Ephesians 6:18). This kind of consistent prayer is only possible by the power and working of the Holy Spirit and abiding in Christ and his word. We should be depending on the Holy Spirit, the power of the cross and every other empowerment God gives us, especially through His Word the Bible. We cannot achieve it simply through any self-effort. But we can and should ask God to work in us to produce this kind of prayer life. What does this our total consecration to God mean in practice? Firstly it means living a life of praise to God, and obedience to God, being willing to be willing to worship and obey God always and live for Him in everything. It does not mean punishing oneself or inflicting oneself with taks, acts, duties we imagine that God might be pleased with according to us or others. God far prefers wholehearted obedience to man-inspired sacrifices ((1 Sam 15:22 KJV) And Samuel said, Hath the LORD as great delight in burnt offerings and sacrifices, as in obeying the voice of the LORD? Behold, to obey is better than sacrifice, and to hearken than the fat of rams. 23 For rebellion is as the sin of witchcraft, and stubbornness is as iniquity and idolatry. Because thou hast rejected the word of the LORD, he hath also rejected thee from being king.). (Rom 10:17 KJV) So then faith cometh by hearing, and hearing by the word of God. (James 1:22 KJV) But be ye doers of the word, and not hearers only, deceiving your own selves. 23 For if any be a hearer of the word, and not a doer, he is like unto a man beholding his natural face in a glass: 24 For he beholdeth himself, and goeth his way, and straightway forgetteth what manner of man he was. 25 But whoso looketh into the perfect law of liberty, and continueth therein, he being not a forgetful hearer, but a doer of the work, this man shall be blessed in his deed. 26 If any man among you seem to be religious, and bridleth not his tongue, but deceiveth his own heart, this man’s religion is vain. 27 Pure religion and undefiled before God and the Father is this, To visit the fatherless and widows in their affliction, and to keep himself unspotted from the world. 2:1 My brethren, have not the faith of our Lord Jesus Christ, the Lord of glory, with respect of persons. Secondly this consecration also still means our self denial and taking up the cross daily. Jesus said, “If anyone desires to come after Me, let him deny himself, and take up his cross daily, and follow me.” (Luke 9:23). We cannot be totally consecrated to God without “coming after Jesus” and Jesus tells us what will be necessary. a. We must deny ourselves. This means saying no to the demands of self. It means saying no to selfish desires, the easiness and comfort that our flesh wants for itself, the “right” to indulge the sinful nature and to violate God’s law of love. It means saying no to pleasures which don’t come from God and don’t lead us to God. b. We must take up our cross daily. Every day we will have opportunity to die to ourselves. Paul said, “I die daily.” (1 Corinthians 15:31). Taking up the cross means surrendering to God’s will when it is different to our own will, even when the path of God’s will means passing through pain and suffering. However, we know that “the sufferings of this present time are not worthy to be compared with the glory which shall be revealed in us” (Romans 8:31). The more we consent to be united with Jesus in the likeness of his death, the more we will share in his resurrection power (Romans 6:5). That is true even in this life. c. We must follow Him. This means seeking to be in His presence always through prayer, modeling our lives on His life, identifying ourselves with His nature and His purposes, and gladly obeying His commands. Do stay in touch with the Holy Spirit and do not lose the touch of the Holy Spirit upon you personally, for even King Saul and Samson had sadly lost it..